Digital transformation demands a new approach to data management. Rapidly evolving application technologies require high volumes of changeable data and developmental agility, meaning database technology must evolve with them. 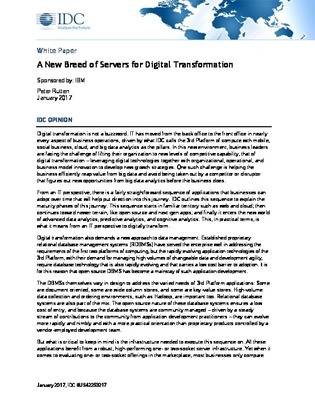 This IDC white paper discusses the digital transformation journey that organizations are going through today.